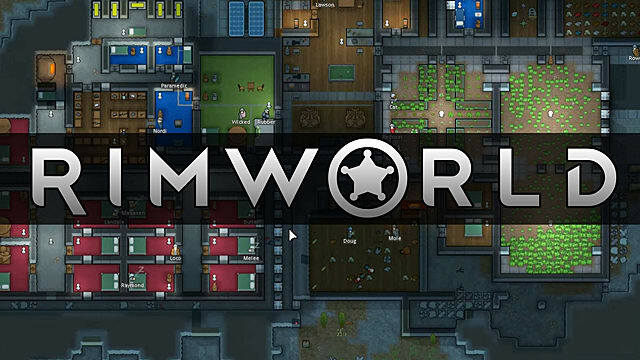 RimWorld is not your typical construction sim. 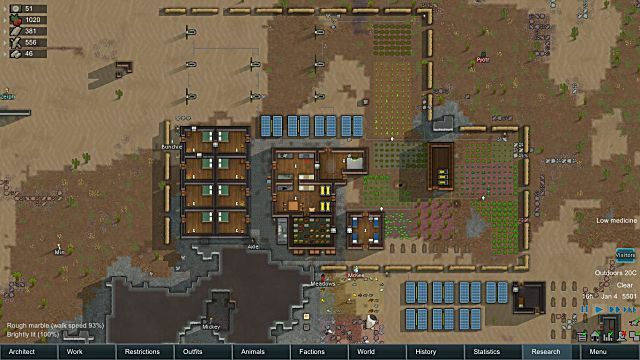 It has its own peculiar atmosphere and the gameplay may turn into a real emotional rollercoaster for those who can’t manage their colony alive and healthy. 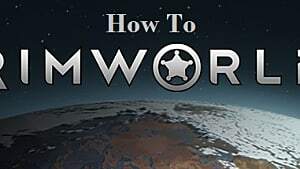 Of course, you can always start a new game if you didn’t manage to escape the planet the first time around, but it is much better to learn a few tricks beforehand and take care of your characters properly in RimWorld from the get go. This guide will provide you with such advice and let you survive even in the harshest of environments. 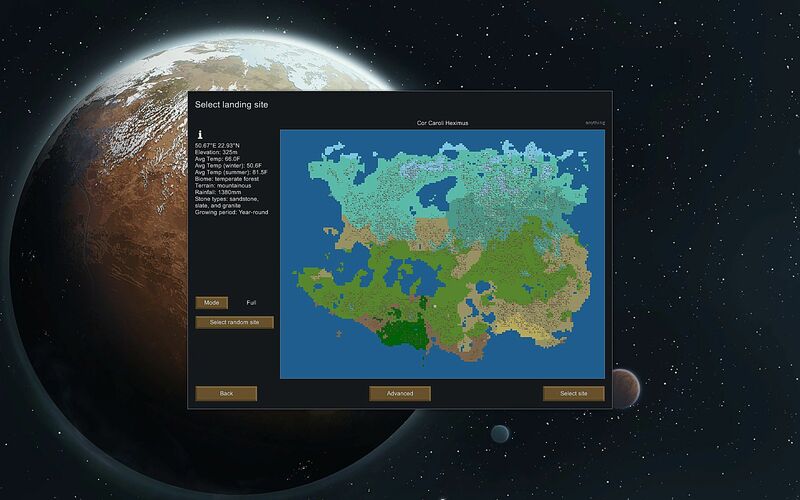 There are several biomes in RimWorld that can serve as a landing site for your colony except an Ocean biome, which is unlandable. All these biomes offer different conditions – some are more favorable, while others are quite extreme. These different biomes influence the difficulty of the gameplay, so choose landing site in accordance with your skills. Temperate Forest is the easiest and most favorable biome in the game. It will provide you with tons of materials and the climate is suitable for long-term farming. 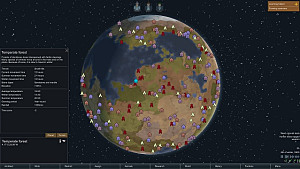 Mountains and Plains are considered normal difficulty biomes since their conditions aren’t fully favorable, but are still very suitable for colonization. For example, Mountains are full of resources, while Plains have enough flat areas for building although they can’t protect you against enemies too well. Ice Sheet and Extreme Deserts are the hardest types of biomes. The conditions there are extremely unfavorable and can lead to a quick death of an entire colony, if you can’t provide for your people in time. Some skills are more important than others, so make sure that your characters have these skills as their specialization at the start of the game. All the useful skills in RimWorld can be divided into two groups: primary and auxiliary. Primary set of skills includes: growing, cooking, construction and mining. These are absolutely necessary and will provide your people with good food and decent constructions. Auxiliary skills consist of: research, social, crafting, animals and combat. 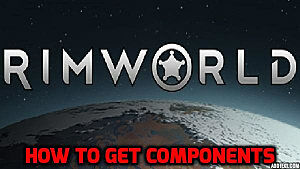 After you’ve established your colony and satisfied the basic needs of your people, these skills will help you strengthen your positions and protect you from the enemies. There are three things you should do as soon as possible after the crash landing: set up your shelter, provide food for your people, and protect them from the raiders. 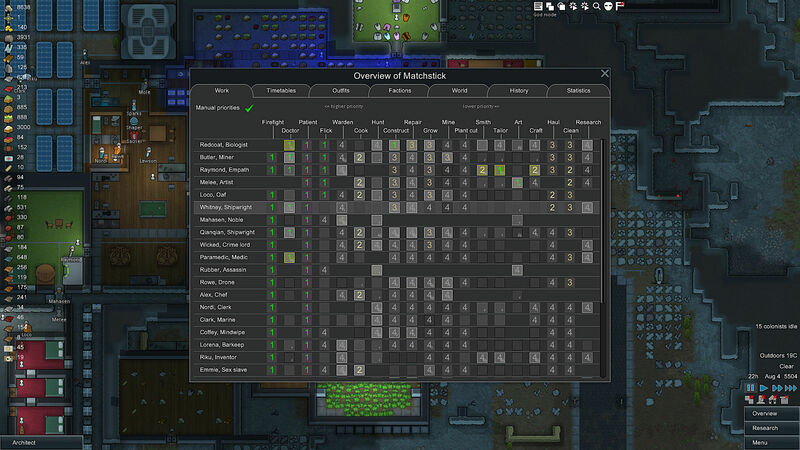 The very first things you need to build are separate bedrooms for each of your colonists with beds and doors. Then, make a storage room, which is just as important. You can’t leave your stuff outside, as it will rot and become useless, especially your weapons get rusty really quickly. So, make a big room that can keep your things away from moist and wind. Lastly, make a kitchen and a freezer to preserve your food. Also, set up a praying room to keep the morale of your people high. The initial food packages will not be enough to feed your people for too long, so you need to take care of farming as soon as you have your base ready. Start with a smaller growing zone and increase the area gradually. The sowing and the growing will take a few days, so be patient. Give one or two men weapons and send them hunting. Then, craft a butcher’s table for your kitchen, so you can cook your meat, as well. Don’t let your men eat raw meat, and be ready to craft an electric stove. If you don’t have electricity yet, then make a fueled stove that functions on simple wood. The basic security set up for your base can be as simple as a barricade made of sandbags and a couple of turrets. These will be able to protect you from raiders at the initial stages of the game. 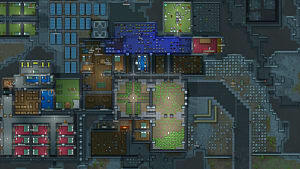 Later you will have more resources to build an entire wall around your base. 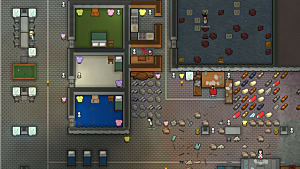 Also, set up traps all around the wall on the outside, for example, mine traps. Put several snipers on the perimeter and keep the lights outside and keep darkness inside – in this way you will be able to see your enemies, while they will not be able to see you. This will give you a huge advantage during raids. Injuries during the raids are inevitable. 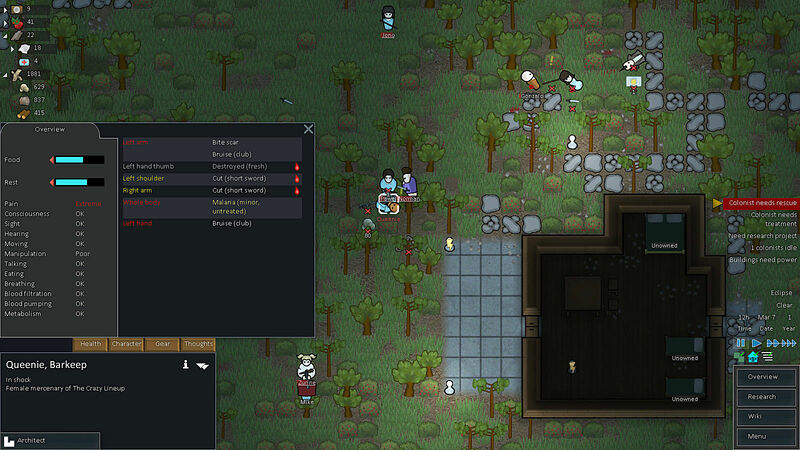 There are different types of injuries in RimWorld: simple scratches, deeper cuts and gunshot wounds. Simple scratch doesn’t need to be treated and well-fed character will heal automatically. However, deep wounds need to be cured as soon as possible, otherwise the character will most likely get infected and die. That’s why you will have to build a medical bed in the separate room for these purposes. 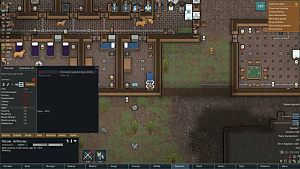 Also, don’t forget about the mental health of your colonists, as their mood swings can hurt the success of your campaign just as much as their physical wounds. So, pay attention to some fine arts in all kinds of forms, such as beautiful flooring and sculptures. 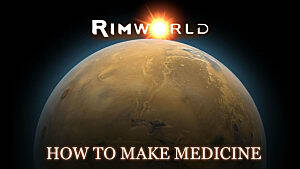 Come back soon for more RimWorld guides at GameSkinny!